My daughter Gracie is wearing the costume. 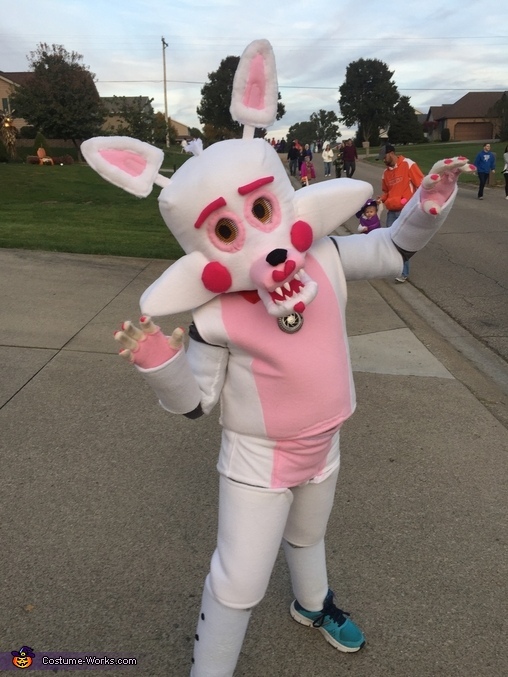 She wanted to be Funtime foxy for Halloween and I couldn't find a costume so I had too make her one. The head is made with foam. The vest, pants, arms and leg pieces are made with foam from the fabric department.